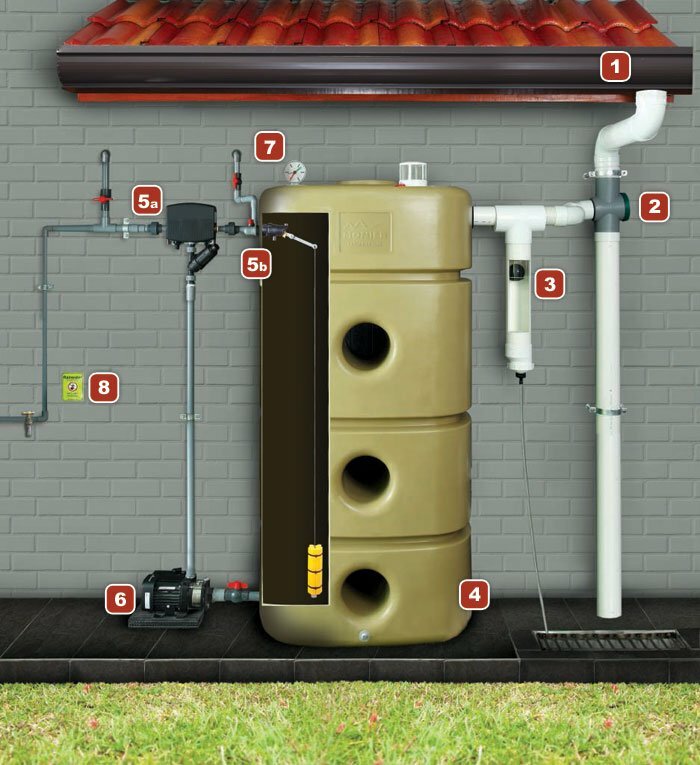 A high quality rainwater management solution that is designed with exceptional durability and reliability. It Is made from high tensile Aluminium Zinc for enduring colour consistency and corrosion resistance to withstand harsh weather conditions. Removes and prevents debris, leaves and sand from entering the storage tank by directly discharging dirt to the drain. Reduces the pollution of tank water by diverting the first flush of contaminated water away from the tank. An automatic switchover device that also functions as a pump controller. It receives signals from the sinker float sensor, water pressure sensor and mains water supply sensor; and controls the running of the pump and automatically selects the water source. A high-flow valve intended for use in rainwater harvesting tanks.The purpose is to automatically maintain a low level of water in the tank during periods of no or low rainfall. This allows the tank to continually supply water while leaving capacity in the tank for refilling in the next rainfall. To boost pressure. The pump is only active when water is drawn from the tank. A dial-type indicator that displays the level of water in the tank. All water may look the same but it isn't. Install a Non-Potable Water sign to prevent people from drinking unsafe water.